INTERESTING REMINISCENCES. SPEECHES BY MR HEMMERDE, M.P. 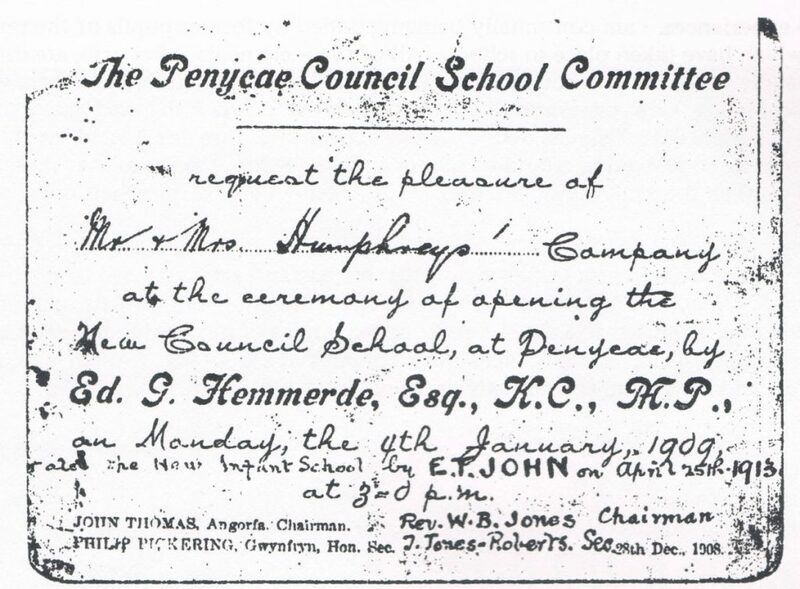 OPENING OF NEW SCHOOL AT PENYCAE 1909. Monday 4th January will long be remembered in the annals of Penycae. To most the inhabitants it was the day of the realisation of their educational vision the culmination of their desires and the materialisation of their wishes. All along the years have the nonconformists of the parish had to send their children to a church school, to a school standing for principles which the soul of the stout Penycae Nonconformist abhorred. Belonging to that class known in political phraseology, as “The single school area” it has for the past twenty years been the only school available to the parishioners. In some cases, however, the parents revolted by sending their children to Acrefair and Rhos Council schools. This proved to be the thin end of the wedge. Owing to the overcrowding at Acrefair and Rhos, the old-School Board, began to think of the possibilities of erecting a school in Penycae to which parents could send their children without outraging their consciences. In those days, however, the chances were very feeble and remote. 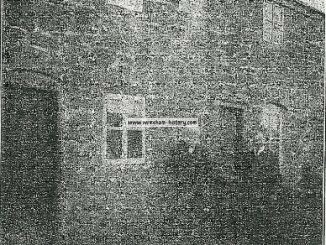 Many were the fierce controversies in the deliberating room of the Board, that raged round the name of the little village and at the end of every discussion the claims of Penycae could be seen in clearer relief. The Rev W. B. Jones, with all the force of his ardent Celtic temperament, and impassioned speeches, took every opportunity of keeping the question before the notice of Board and public and declared time after time, with hands upraised, that he would live to see a handsome Council School in the village. Events have borne out Mr Jones’ prediction, and the villagers turned out in large numbers to celebrate the opening ceremony. The building is a handsome edifice built by Mr Isaac Jenkins, Johnstown. The cost was £3,400. The special grants to Wales made by Mr McKenna has helped to build the school. It is delightfully situated on a site commanding an extensive view of the vales of Llangollen and Maelor, and is swept by healthy breezes from the mountains. The playground is large and roomy, and the Sanitary arrangements are very satisfactory. In contrast to the confined playgrounds and germ laden atmosphere of the old type of school, juvenile life in the new school should be healthy and joyful. The ringing of the school bell on Monday afternoon was the signal for the ceremony to commence. By three o’clock the schoolyard was well filled. Mr Hem- merde, K.C. M.P., was presented by Mr John Thomas with the key, and immediately the door was flung open, loud cries of Hurrah” were given. Mr JOHN THOMAS presided at the afternoon meeting. He said that now their dreams had been realised, words failed to express the joy in their hearts. They had fought many hard battles in the past; they had sown on stony ground for many years but at length they came in for their reward. They had broken their bonds and stepped into the promised land. (Cheers) There were those lying in the grave hard by whose hearts would throb with thankfulness and thrill with pride could they but witness the proceedings of that afternoon.He hoped the school would be a great success. 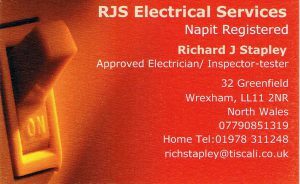 Mr SIMON JONES, Wrexham, said he was proud to be present on such an occasion. 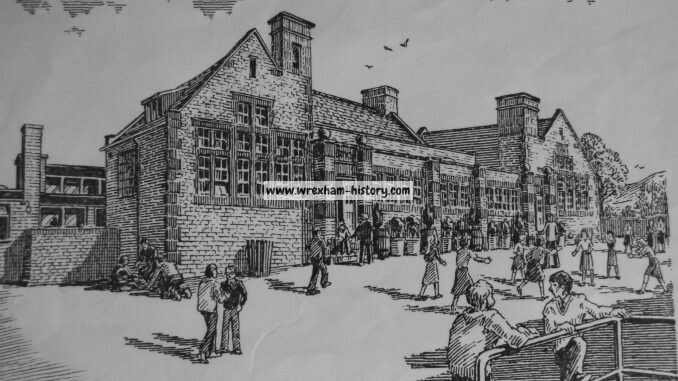 The handsome building so magnificently situated would go a long way to make the children of Penycae healthy and vigorous. The old school had long been out of date as also was the system of trying to combine sectarian teaching with popular education maintainance out of the rates. BACK TO THE EARLY FORTIES when he was a happy youngster at Onen- fechan, his old home. In those days, the means of scraping knowledge was very primitive indeed. He attended a dame school at the Booth, and learned to read and write by the instruction of a woman, who perhaps, would be busy peeling potatoes in her own kitchen. After a course of instruction at the hands of the old dame, he came to Penycae and joined the classes held in the old Baptist chapel yard, where they laboured at their lessons under Richard Hughes. 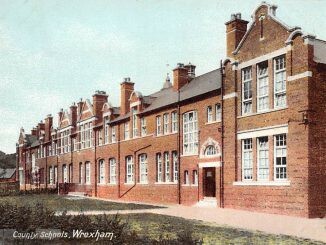 There was another dame school at that time in the district the one in Rhos. It was situated where the Rev R. Roberts then lived, and had a capable schoolmistress in the person of Charlotte Rowlands. Afterwards was built the church school on the Wern, and he attended there for a while. Later on, he attended a school at Wrexham, walking five miles’ night and morning to do so. The teaching, walking, and many fights on the way did him much good and helped to make a man of him. Nowadays! however, scholars had glorious opportunities. Let the boys of Penycae be not afraid of hitching their wagon to the brightest star they could single out. As their birthright, they had the means of scaling the dizzy heights that led to the high places in the land. Mr CHRISTMAS JONES said the school was a credit to both builder and architect. It was a substantial as well as a handsome school. He congratulated the parishioners of Penycae on its possession. Miss GEE, Denbigh, said she had gained not a little experience in Welsh matters through accompanying her late father. Wales in one respect differed from other countries in its ideals. In the education ladder, it started from the top instead of the bottom. It took good care to provide colleges, so that efficient teachers could be turned out to teach in the elementary and secondary schools. The present Welsh education ladder made it possible for any Welsh girl or boy to climb to the top. It wanted not only brains to climb, but also grit and determination, perseverance and hard work. The lesson of the hare and the tortoise still held good. She urged parents to encourage their children in their tasks, and not to be in too much of a hurry to withdraw them from school. The Rev E. K. JONES, Brymbo, said he was proud to see the world opening to the sons and daughters of their native hills. The new school he hoped, would prove to be the first rung in the ladder for the bright sons of Penycae. On the motion of Mr A. Tompkins, seconded by the Rev W. B. Jones and supported by Mr P. Pickering, the usual vote of thanks was passed. An excellent tea was provided in the schools by a committee of ladies. Mr HEMMERDE, M.P., said that one of the main interests to him in being present lay in the reflection that there were in the country, no fewer than 7,000 parishes in which there was only one school, and that a Church school, where the Catechism was taught, and where dogma was often thrown upon the children of parents who were most unwilling that their children should attend that sort of instruction. This great question had been fought out in the country, and the logical result was a system of universal Council Schools. They could not go on year after year fighting amongst themselves about what people pleased to call religion, but which often had no connection with religion at all. He would ask any member of the House of Commons to tell his constituents whether the great public schools of England had ever been interfered with in the way people wanted to interfere with the elementary schools. How careful some people seemed to be of the morals of the poor. The ordinary layman was in favour of the best possible secular teaching, and simple Bible teaching. So far as the laity and public were concerned there was no quarrel whatever about the matter. The cause of the trouble was largely the priest, the parson, and the minister, and he was glad to see that the people of Penycae had done something to remove the intolerable grievance. He believed in a national system of education that taught the children that they were members of one country, and not that they were simply members of this or that Church, the doctrines of which they did not understand. The day would surely come when the single-school area would disappear. The Catholics did not defend it and the only people who did were those belonging to the Church who controlled almost the whole of them. It was a duty they owed to themselves as citizens to’ see that the consciences of the people were outraged no more, and they could do this by insisting upon the erection of real national schools, such as they had opened that day. In the evening a public meeting was held, presided over by Mr W. G. Dodd, Llangollen. There was a crowded assembly. Mr DODD said that from that day a new start in the life of Penycae would be made. He hoped it would be one of long and continued progress. He should like to say that their acknowledgments for that magnificent building were due in a large measure to the present Liberal Government. Up to the present its only school in Penycae was one under clerical influence. He imagined that such a school supported by public money must have been well-nigh intolerable to the Nonconformists of Penycae. To be compelled to send their children to a place where they were taught principles entirely antagonistic to the Nonconformist conscience was intolerable to the last degree. Today, however, he was glad to know that as far as Penycae was concerned this state of things was at an end. As a County Authority, the Denbighshire Committee had endeavoured to justly administrate the Act of 1902, which was passed even in the teeth of popular opinion. They had given them their pound of flesh. But they found that when the Liberal Government tried to redress the great wrong of 1902, they failed time after time to legislate for the good of the greatest number of people owing to the vetoing of the House of Lords. Mr J. STEPHEN JONES, Ponkey, congratulated Penycae upon possessing a handsome school so admirably situated. By simply attending the school daily, the scholars would be inhaling the salubrious ozone of the mountains, as well as absorbing the instruction of Mr Humphreys and his staff, as a return for the boon that day opened in Penycae, he urged the great necessity of regular and punctual attendance. The County had lost some £15,000 through bad attendance in the past. This was a blot upon the County he would like to see wiped out, and he looked forward to the attendance at Penycae with no little eagerness. In the second place he appealed to Penycae patriotism. Wales was a nation of patriots, and it was to the severed flames of burning patriotism that the ideal education system of Wales was due. Many of the intellectual giants of Wales had drank at the fountain of knowledge from such places as Penycae, and in smaller schools than the one that opened that day. Such a fact ought to fire the breast of the Penycae boy, and awaken ambition in him to do and dare things for country’s sake. Mr HEMMERDE, M.P., who was received with an outburst of cheers, said that many people would give them different remedies for their social miseries. They would deliver them from the abyss in many ways. In Wales, they cured the evil by building schools, and a very good method it was. They caught them quite young, and left nothing to the recruiting sergeant. They saw to it that nothing was wanting in their school conditions, if their home conditions were not perfect. Patriotism and love of country was involved in sending children to school, and in keeping them there if possible. He hoped the parent would learn to sacrifice something in the present for the good of his child’s future, He knew it was very often hard for a parent to leave his boy in school but if it could by hook or crook be managed if would repay him a hundredfold. By withdrawing their boys from school before the proper time they set up competition in adult labour, intensified competition, and lowered wages. If a parent was unable to give his boy a chance life by giving him a decent education, then there was something wrong with the State and that reason was the same reason that made rents high, and allowed land to remain idle and unproductive. Let them be patient then, and I turn their attention to alter the social conditions of things. Although they groaned under the present depressing social conditions, let the parents carry their burdens pluckily, and fight ever cheerfully for the sake of the future welfare of their children. The REV. W. B. JONES said he hailed the day as one of the greatest in the history of their village. fare of their children. They were fighters with backbone in Penycae, and the erection of the new school was the result of many years of hopeful fighting and persistent endeavours. He had dreamed of a free school in Penycae for many years. He had secretly hugged the great hope to his heart, and had in imagination seen the outlines of a future school in the silent watches of the night. Many people grumbled when a new school was being built, and put up their hands with horror at the expenditure. Yet these people grumbled not at the expenditure of millions of money and thousands of lives in the Boer War. He still met in the streets of Penycae with people who pulled a long face and whined old cry of “The old school will do” Indeed, he had read a charming extract; from a local parish magazine, a sort of monologue of the departing spirit of the old school. “This is the time for Churchmen to show their Churchmanship. Support the Church Schools. Some unprincipled persons have been offering all sorts of inducements to parents, to send their children to the new Council School, if you want good teaching, firm discipline, etc., send your children to the Church Schools. All sensible Non-conformists will send their children to the Church Schools. We mean to carry them on despite everything”. They are, continued Mr Jones, a link with the primitive feudal system, where Wales cringed under the power of the squire and parson. He concluded by hoping Penycae Nonconformists show what stuff they were made of where the bell of the new school rang on Monday morning next. Addresses were also delivered by Rev, E. K. Jones, Brymbo Mr Jones-Roberts. Penycae Mr Humphreys, schoolmaster and Mr Thomas Hughes, Chairman of the North Wales Miners’ Association. The meeting terminated with the singing of the Welsh National Anthem. 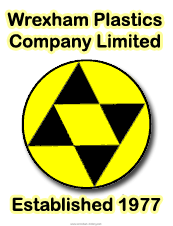 Read extracts from the Penycae School logs here. Source: Rhos Herald 9th January 1909; Ysgol Penycae 1909 – 1985 by Gwyn Thomas. 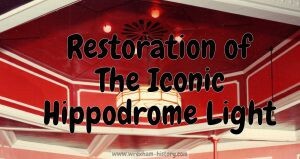 This article was produced by Wrexham History from a variety of sources. 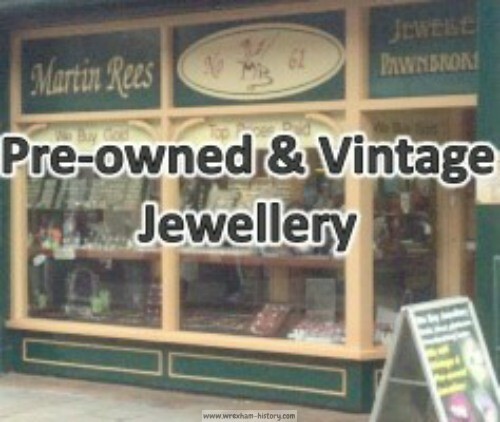 The information on this page may be used freely, on condition that wrexham-history.com is cited as the source. 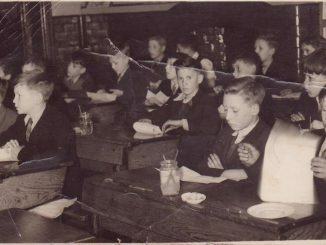 St Mary’s school 1950. The young chap looking at the camera is Glyn Griffiths, who “got the cane for that”. Source: Picture kindly supplied by Glyn Griffiths.